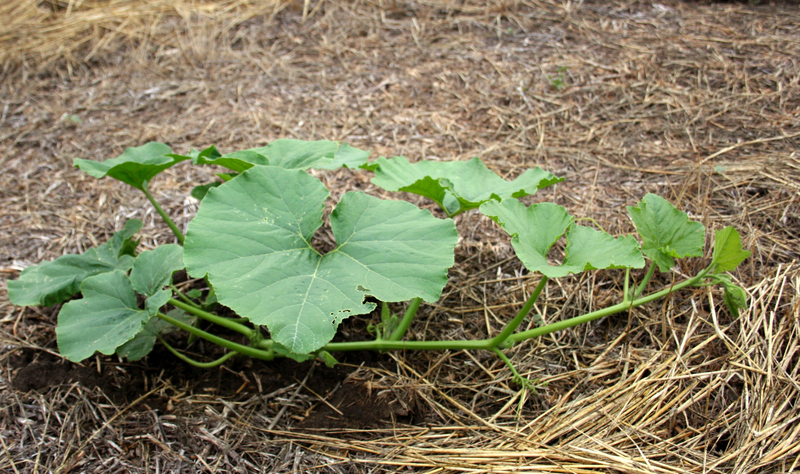 Baby tendrils are beginning to form on the young pumpkin plants. We are impressed at how fabulous the first transplants are looking! I have to admit… they didn’t always look like this. In fact–we were pretty worried as to whether or not they would make it. We started the season out with a pretty severe aphid infestation. Little did we know, aphids were feeding on our rye cover crop. After the rye was killed, they moved to our tiny pumpkin transplants for their next meal. 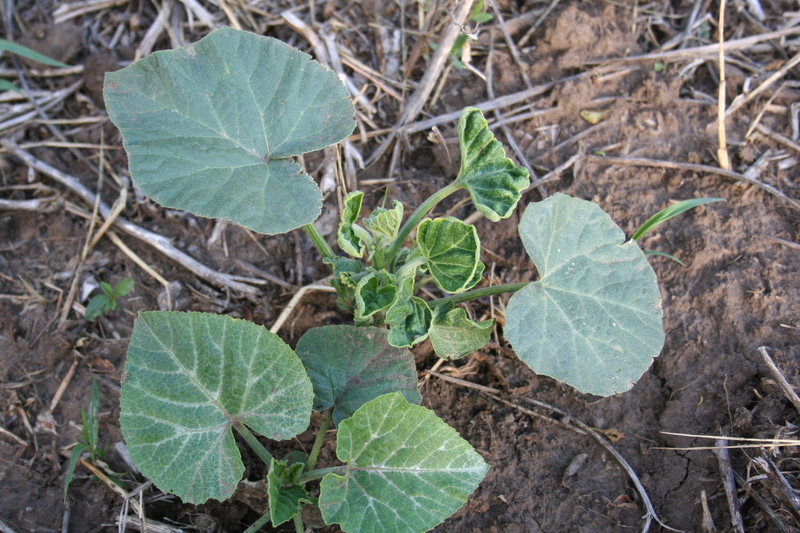 The aphids inject a toxin into the plant while they feed on it. This caused our transplants to look a little sickly for a few weeks. Since we had never had a problem with aphids before, we were a little nervous to see if the transplants would grow out of it, or if we would end up replanting the whole field. Well… after an application of insecticide, a lot of fertilizer, and a little rain… the transplants have made a full recovery! Grow baby grow! Our first transplants are starting to vine out! You can see the aphid damage on the stunted and shriveled new growth. ← After the work… the reward!